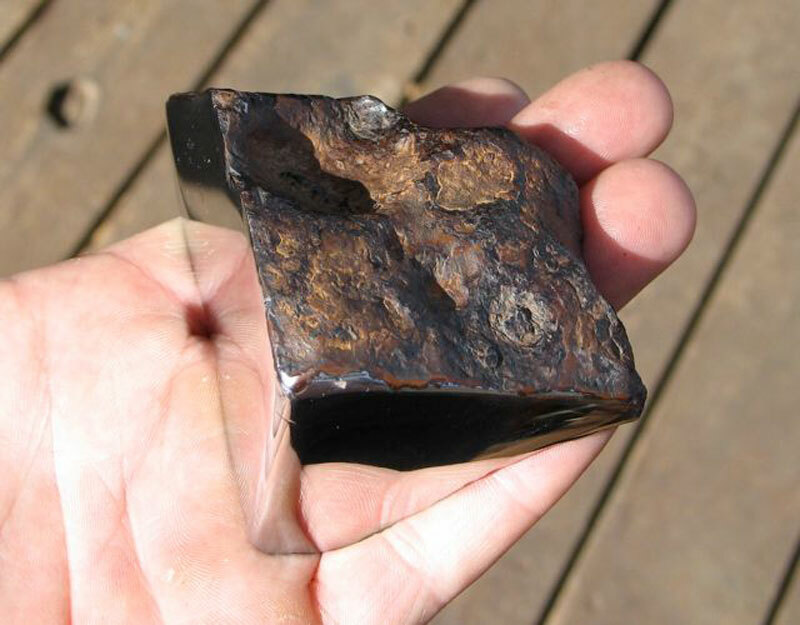 Seen here is a 773 gram polished Chinga meteorite. 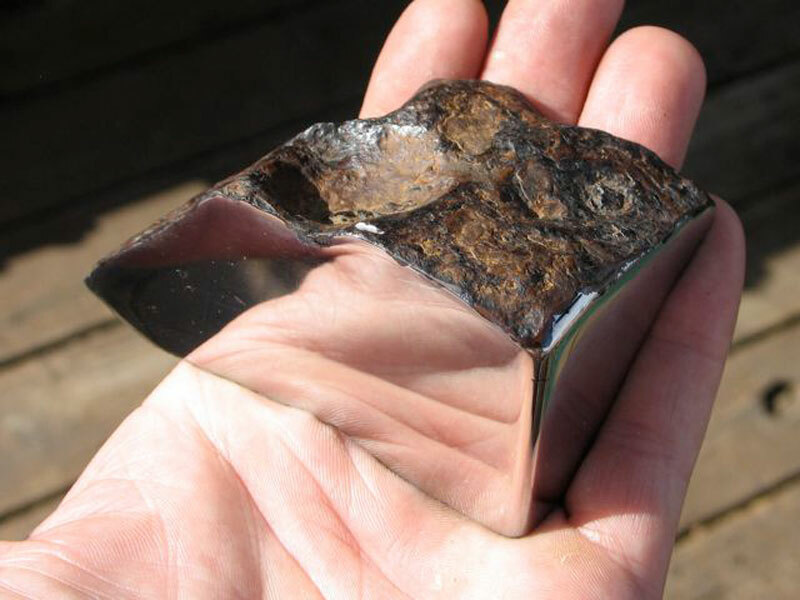 The quarter-cut specimen was found in Turvinskaya, Russia and has been cut and polished on two sides. 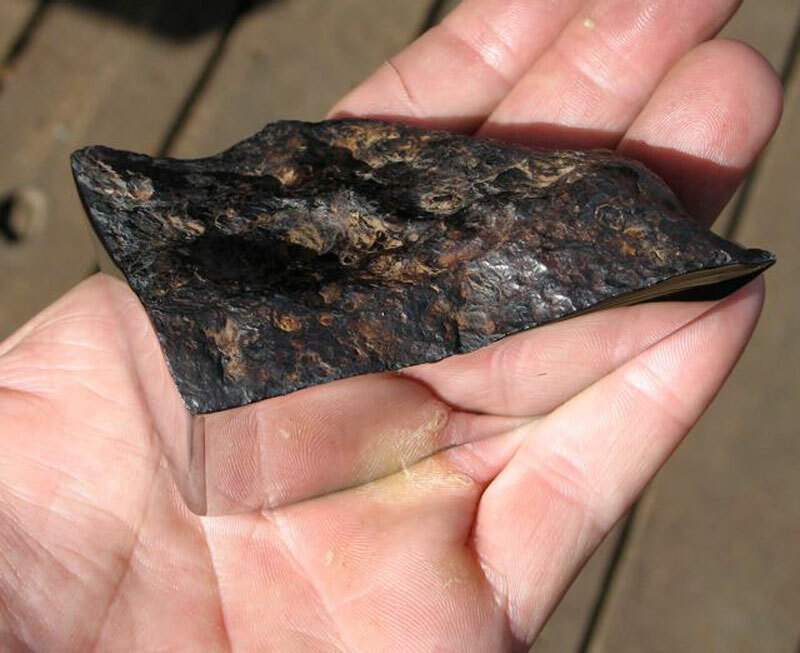 The rest of the meteorite retains its natural light brown crust, creating a dramatic contrast. This particular specimen, which was offered by Arizona Skies Meteorites has been sold, but more of this meteorite can be found online.